Are you missing a good movie or series to throw in? 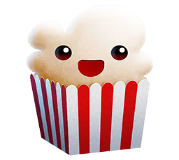 Then try the streaming program Popcorn Time, which can be downloaded for free here. Today, regular channels on television, as we know them, begin to phase out in favor of streaming services such as Netflix, HBO, Viaplay etc. Streaming services are generally cheaper, easier to use, free of advertising and then you also have control over what you will see and when. It is a freedom that many people have found joy in, and especially among the young, the streaming services have taken over the place of the television. 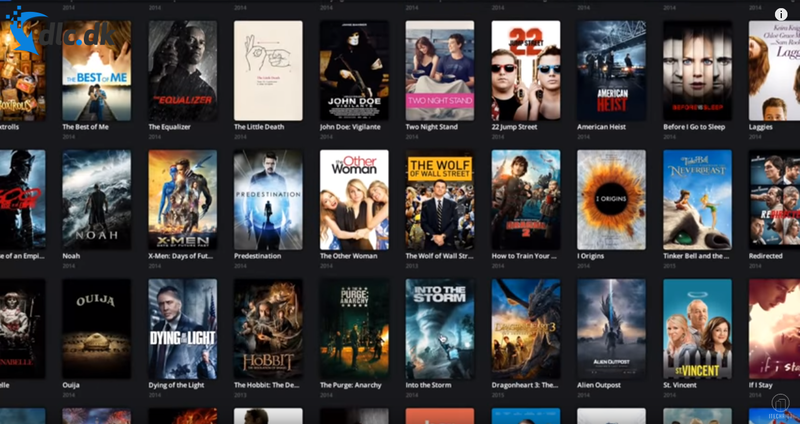 Popcorn Time is a streaming service that, unlike all the others, is free. By being able to stream from unofficial torrents, Popcorn Time offers a large selection of movies, series and anime for you who lack something good to watch a Friday night with your boyfriend eg. Popcorn Time offers a variety of old as well as new movies, TV shows and Anime series, and new ones are added regularly. Popcorn Time really works as torrent software that has a built-in media player in it. That is, it draws from a database on the Internet where movies are stored and streams them for you. You can see everything from the Lord of the Rings, Star Wars, Twillight and whatever your imagination might be. 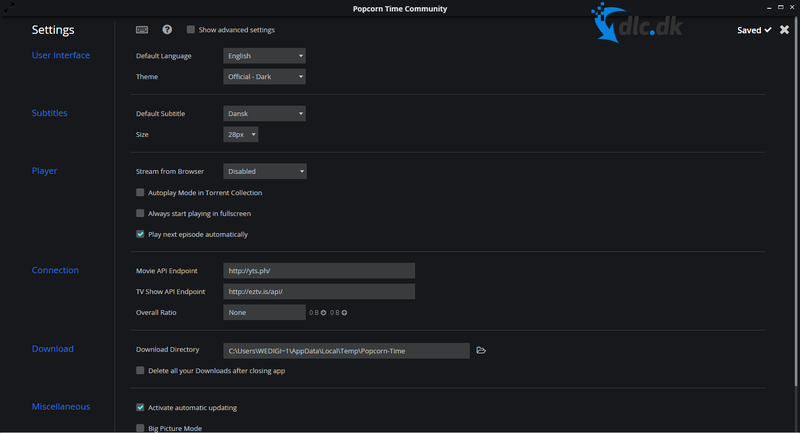 The community that is built around Popcorn Time is therefore a large part of what will be movies and series available on the app. And it is more important than ever, where the original program makers do not work with it anymore, but just the user base that stands for further development. Popcorn Time also has subtitle support for many languages as well as a virus protection, so the software will not infect you with viruses when it fetches your movies from the many corners of the network. Popcorn Time makes a lot of sense that you as a user can customize the program to your specific taste. This is done through the software's function called plugins. These plugins are important to your player as well as downloading torrents and they can be turned on and off according to your needs with just one click. For example, Popcorn Time allows you to open up additional websites where it can update its torrents database. Among other things, KickassTorrents has since 2008 stored many games, movies, books and so on. Popcorn Time also lets you choose which video players you want to use to watch a movie or series. There are up to 3 extra you can use besides Popcorn Times built-in video player, and all three have differences that can make them relevant to you according to your needs. Furthermore, there is also a built-in virus scanner that keeps your system safe. When things are downloaded from the Internet and from non-official pages, you never quite know what they can contain. That's why it's really cool that Popcorn Time recognizes this fact and also protects you. Popcorn Time is an ideal program to use with friends, loved ones and family. There is nothing much better than that side and coziness with something candy around a really good movie or TV series. 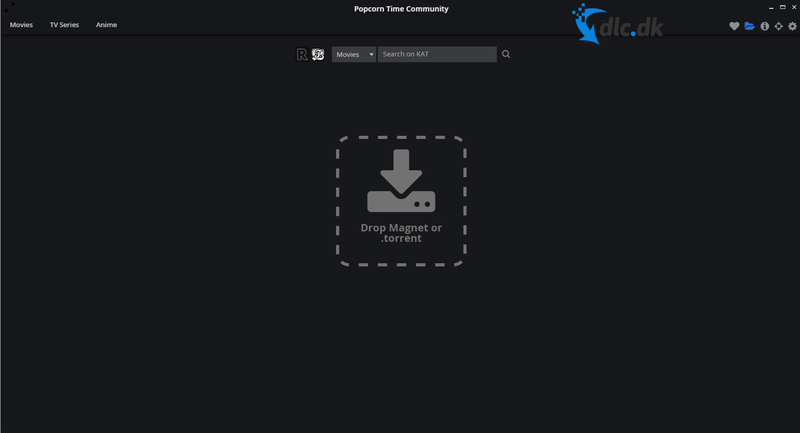 Popcorn Time with its large selection ensures at least that there is something that everyone can see and is constantly updated to ensure that supplies are not released. It is as practical as Netflix, and can be used on your laptop, played via your Chromecast etc. If you have small children who are not quite sharp to English yet, then all movies are supplemented with subtitles so that they can also follow. It will probably come as a surprise to anyone that Popcorn hour is free. How can that be and still offer the same (if not more) than Netflix? As mentioned earlier, Popcorn time is based on downloads of torrents and streaming through the program. These torrents do not necessarily come from the film or series producers, in fact, not at all. It is people themselves who have posted these movies online so they could be downloaded. Therefore, Popcorn Time does not pay millions that Netflix does to keep their catalog up to date. However, there is a catch on this, you have to be very aware of. Depending on the law, this can be a banTherefore, it is important that you familiarize yourself with whether the area you live in allows it. If not, you can use a VPN service to stay safe. Popcorn Time, like many other streaming services, has a very nice design. At the top there are a number of sections where you can switch between movies, series and anime. 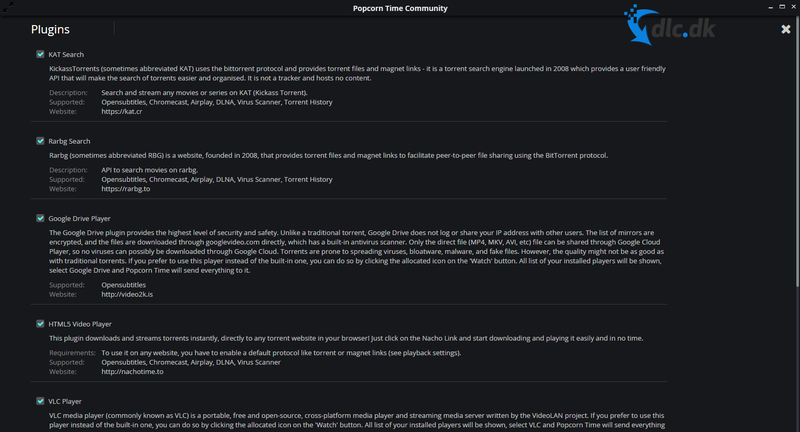 Popcorn Time automatically starts scanning the Internet for torrents and gives you a number of suggestions. You can also search for it yourself, then find the movie for you. It does not require the great effort from your side. If you have any doubts about what some of the features do, just keep your mouse over them, and a smaller dialog box will open to explain to you the technicalities behind the various functions. It is especially handy if you are not so experienced when it comes to torrents. Working with torrents on the Internet makes it very important to keep yourself safe. Therefore, when using Popcorn Time, it is recommended to use a good and strong antivirus program that can capture and stop potential snipers on your system. Norton AntiVirus by the manufacturer Symantec is a good choice in this regard. It can be downloaded for free here. Popcorn Time is a nice and simple program to stream your favorite movies and series whenever you want and wherever you want without paying. With its user-friendly design and wide range of movies and series, it is a great competitor to the mastodonts such as Netflix and HBO, and is clearly worth a try. Find Popcorn Time, mark it and choose "Uninstall"
Should Popcorn Time has been damaged or corrupted and thereby difficult to remove we can recommend you finding help to uninstall it here.